My feet are still hurting! 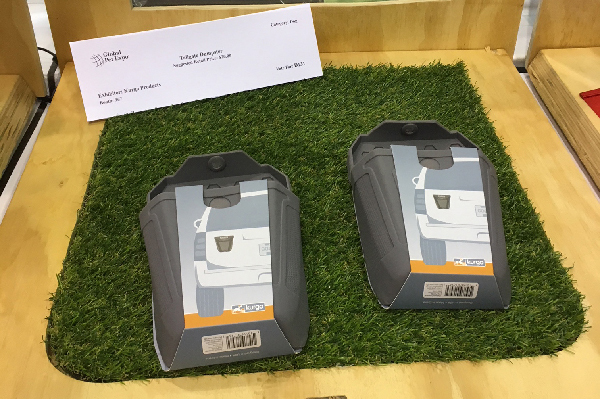 Every year I go to one of the biggest — if not the biggest — pet industry trade shows in Orlando, Florida, to check out all the latest and greatest cat and dog products. 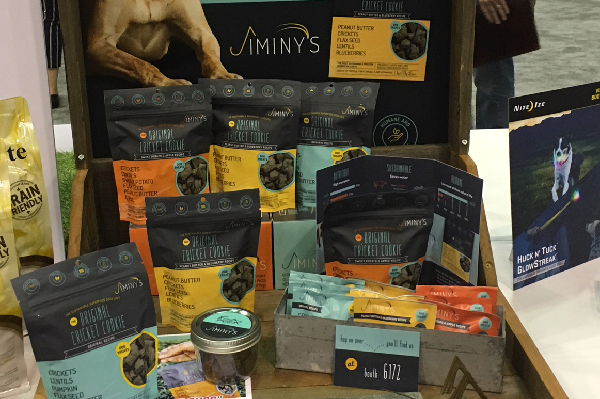 The 13th Annual Global Pet Expo didn’t disappoint this year with more than 1,130 companies exhibiting their pet products and services. It’s too big to get to every booth, but we sure did try to look at everything. These products caught my eye since they were a little more unusual than the others. Some are so new that they aren’t on the company websites yet, so just email the company to find out more information and when your dog can get his paws on them! Just a note: I have NOT tested these products with my dogs, so if you do, let us know what you think in the comments section below! 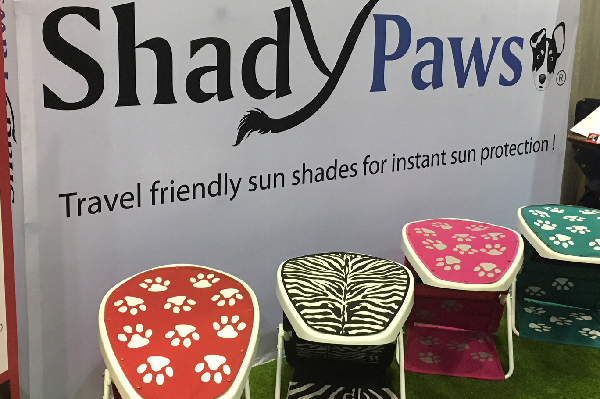 ShadyPaws Pet Canopy Sunshade. Photography by Melissa L. Kauffman. This portable pet shade takes keeping your dog out of the sun’s dangerous rays at the beach or park to a whole new level. Now your pup doesn’t have to share your human shade product — he can rock his own. Doog Pop-Up Pet Pool. Photography by Melissa L. Kauffman. Another summer-fun product, these guys make it super easy to cool your dog down with an easy-to-put-together doggie pool. I may just get one of these for my dogs, Tampa Bay and Justice! P.L.A.Y. 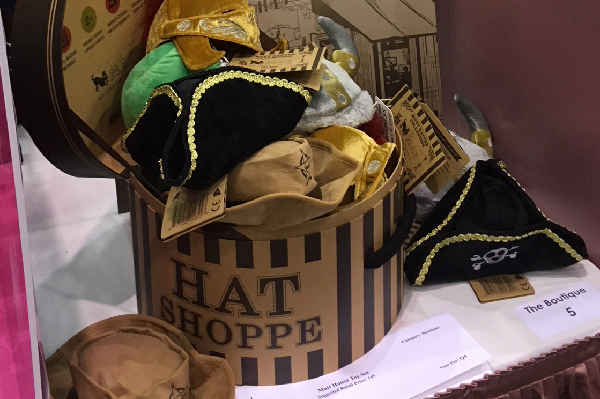 Mutt Hatter Toy Set. Photography by Melissa L. Kauffman. Some dogs, like mine, don’t mind wearing a hat for a fun Instagram shot, especially when treats are involved. And I have to say, I love these hats! Not only are they hilarious but your pup can chew on them, too, because they’ve got squeakies AND crinkles inside! Jiminy’s Original Cricket Cookie. Photography by Melissa L. Kauffman. The U.S. is behind the rest of the world in recognizing insects as a great protein source. I’m glad to see the pet world catching up by using crickets as the protein source in this treat. Let’s face it, our dogs would eat crickets even if they weren’t shaped like cookies. And what’s even better, crickets are a sustainable food source and help your dog reduce his carbon footprint. Tomyln Pad Cream Deep Moisturizer. Photography by Melissa L. Kauffman. 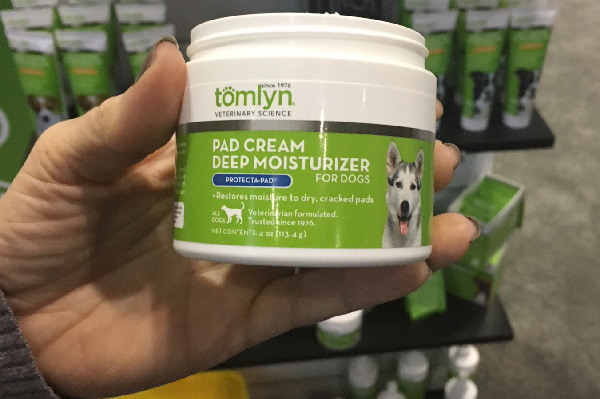 Another great summer product — a moisturizer for your dog’s dried and cracked feet. 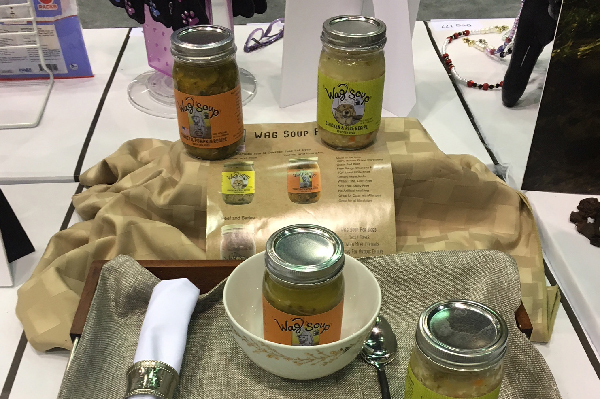 I’ve got to tell you that I used this product on my own sore feet at the trade show! It’s specially formulated for hunting and working dogs, but this is good for any dog with calloused paws and cracked elbow joints. I like the spearmint smell, too. Kurgo Tailgate Dumpster. Photography by Melissa L. Kauffman. Most of us dog owners try to be good citizens, but sometimes when you’re out hiking in the woods, your dog relieves himself, you pick it up and there is just nowhere to put the poop bag. This solves the problem! It attaches to the outside of your car with super-strong magnets, plus it’s easy to clean. I can’t wait to try this one. 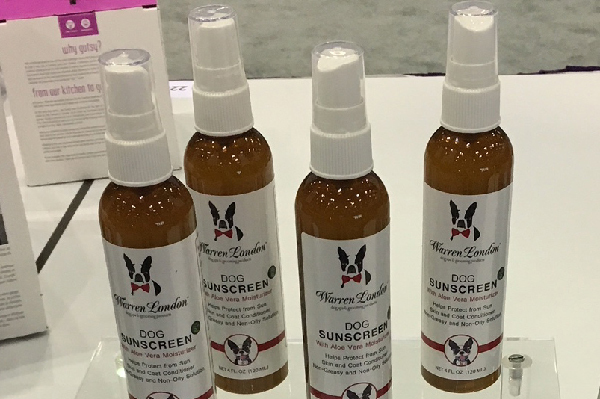 Warren London Natural Dog Sunscreen. Photography by Melissa L. Kauffman. Yes, dogs need sunscreen like we do. (They aren’t covered in fur everywhere, after all.) It’s nice to see more companies acknowledging that fact and creating easy-to-use products for us. This sunscreen contains FDA-approved ingredients and aloe vera to help moisturize the skin. Directions on how to use specific ingredients are on the website if you want more information. Doggie Water. Photography by Melissa L. Kauffman. 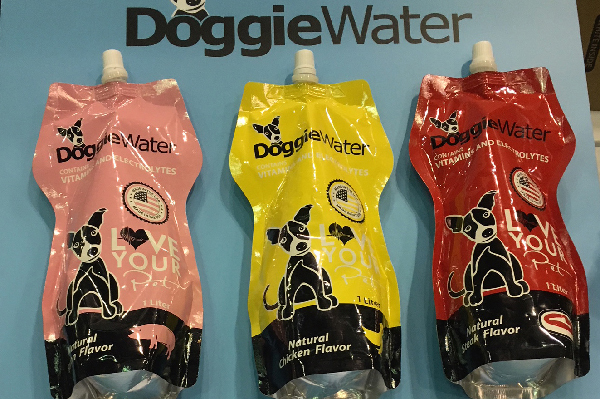 Now your dog doesn’t have to share your boring old human water. This pup-friendly hydrator contains vitamins and electrolytes for your dog, plus comes in flavors he would like — bacon, chicken, steak or no flavor. Wet Noses Wag Soup. Photography by Melissa L. Kauffman. Sometimes, your dog’s tummy needs a little love and you just don’t feel like dragging out the pot and making some chicken and rice. Now there’s soup for dogs — try Chicken & Rice Recipe or Turkey & Pumpkin Recipe. Max & Molly Zero Bugs. Photography by Melissa L. Kauffman. 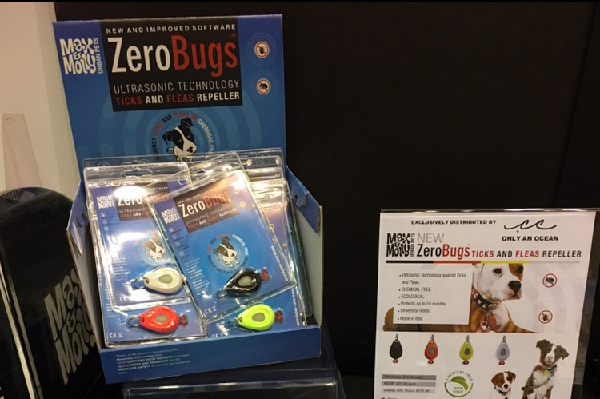 It’s about time flea and tick products got hi-tech! This certainly looked interesting. It’s an ultrasonic tick and flea repeller that you can hang from your dog’s collar. According to the website, it’s splash proof and protects for up to 10 months. Thumbnail: Photography by Melissa L. Kauffman. 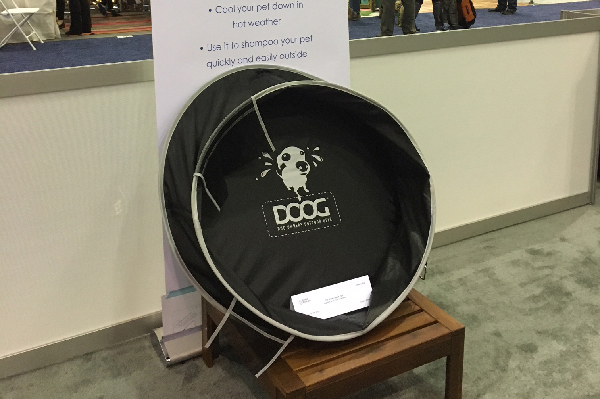 The post Dug Up at Dogster: 10 Unusually Cool Dog Products at Global Pet Expo 2018 appeared first on Dogster.